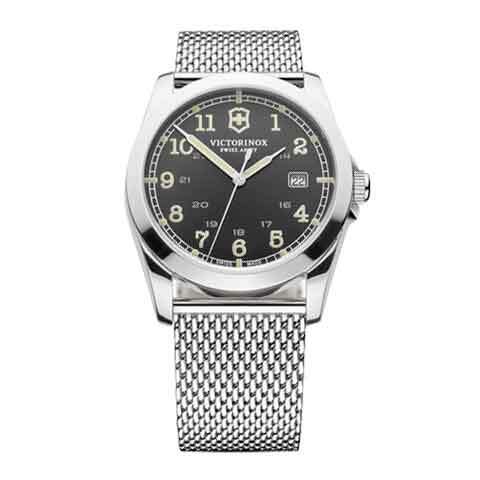 Victorinox Swiss Army Infantry in stainless steel. Black dial with white Arabic numeral hour markers. Stainless steel mesh bracelet. 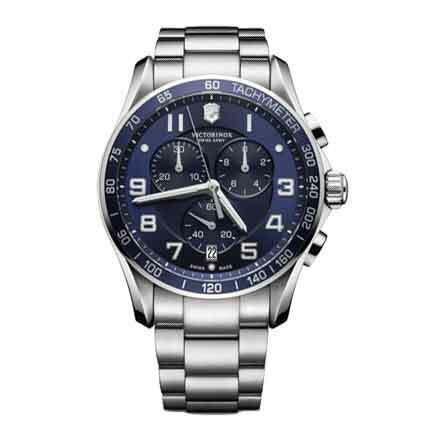 Victorinox Swiss Army Chrono Classic XLS in stainless steel. Dark blue dial with white Arabic numeral hour markers. Stainless steel bracelet. 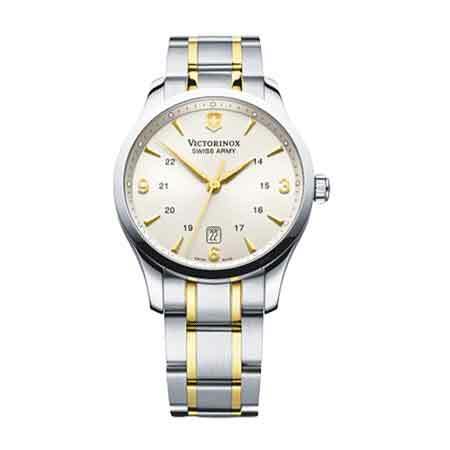 Victorinox Swiss Army Alliance in stainless steel. Silver dial with gold tone Arabic numeral and stick hour markers. Stainless steel and gold tone bracelet. 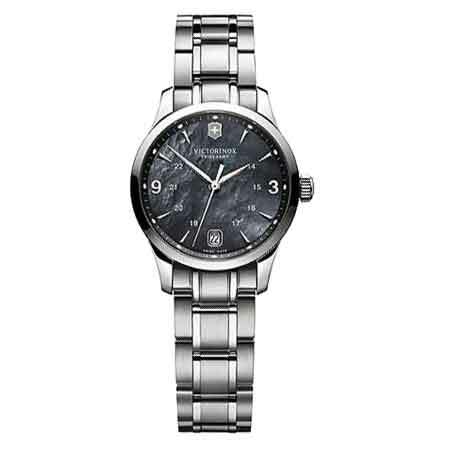 Ladies Victorinox Swiss Army Alliance in stainless steel. Black mother of pearl dial with silver tone Arabic numeral and index hour markers. Stainless steel bracelet. 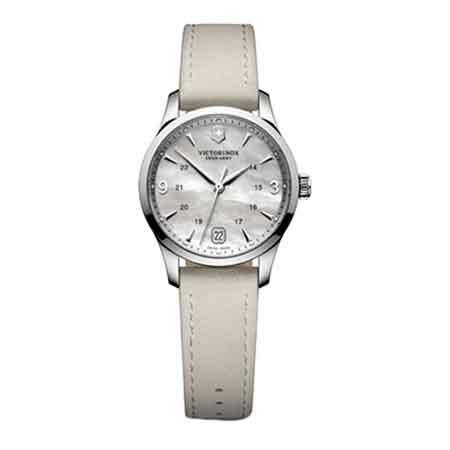 Ladies Victorinox Swiss Army Alliance in stainless steel. White mother of pearl dial with silver tone Arabic numeral and index hour markers. Light grey leather strap. 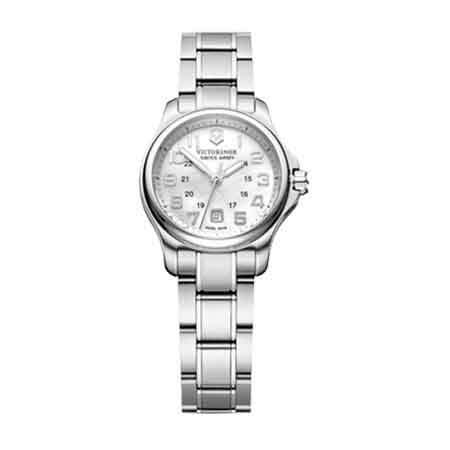 Ladies Victorinox Swiss Army Officers in stainless steel. Silver tone dial with silver tone Arabic numeral hour markers. Stainless steel bracelet.